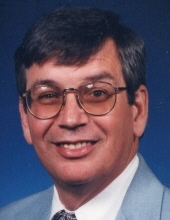 Daniel D. Denning, 72, of Bradford, passed away peacefully to be with his Lord on Thursday, November 29, 2018 at the Bradford Regional Medical Center surrounded by his wife, son and his sponsor. He had persevered 46 years of physical and emotional trauma stemming from a head on collision with a drunk driver on March 28, 1972 followed by a stroke in 1975. He was born on December 2, 1945 in Pittsburgh, the son of the late Robert C. and Ione M. Lyons Denning. He was a 1964 graduate of the St. Francis Preparatory School, Spring Grove, PA; he attended the University of Steubenville, Steubenville, OH, and he graduated from the University of Scranton, Scranton, PA in 1976 with his Bachelor's degree in Business Administration. He served in the U.S. Navy stateside, working on nuclear ordinance, during the Vietnam War from 1966 until his honorable discharge in 1972. On August 12, 1967 in the St. Bernard Catholic Church, he married Marsha L. Bentley who survives. He was a member of the Grace Lutheran Church; where he was an usher for many years, a lifetime member of the Disabled American Veterans, a 39 year member of the Friends of Bill W. and a past member of the Elks Club, Scranton and the American Legion, Scranton. While attending the University of Scranton he owned and operated the former Denning Construction. He was later employed by Investors Diversified Services, Scranton, for several years and later by Metropolitan Life, Olean, NY, until his retirement in 1985. In addition to his wife of 51 years, Marsha Denning of Bradford, he is also survived by one son, Robert C. Denning, II of Bradford and one step sister, Linda Hewitt of Farmers Valley. Visitation will be held on Tuesday, December 4, 2018 from 6:00 to 8:00 PM at the Mascho Funeral Home, Inc. and again on Wednesday, at the Grace Lutheran Church from 10:00 to 11:00 AM with funeral services to immediately follow at 11:00 AM with Dr. Eric B. Kessel, officiating. Interment and the presentation of military honors will be in St. Bernard Cemetery. Memorial contributions in his memory can be made to the Grace Lutheran Church, 79 Mechanic St., Bradford, PA 16701. To send flowers or a remembrance gift to the family of Daniel D. Denning, please visit our Tribute Store. "Email Address" would like to share the life celebration of Daniel D. Denning. Click on the "link" to go to share a favorite memory or leave a condolence message for the family.